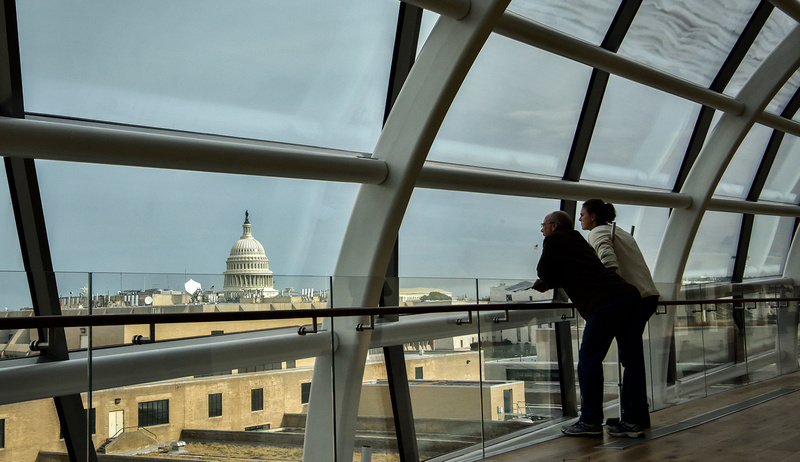 A pair of visitors takes in the view from an atrium at the Museum of the Bible in Washington, D.C. Bill O’Leary/The Washington Post via Getty Images. 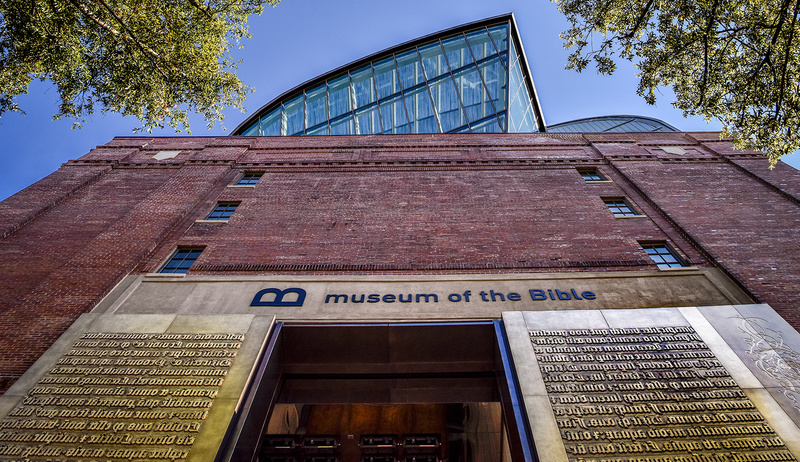 Diana Muir Appelbaum’s essay, “Who’s Afraid of the Museum of the Bible?,” is informative, skillfully argued, fair-minded, and leavened by wit and elegance. It is also much needed, since the museum has come under harsh assault from a variety of sources. Before addressing the nature of that assault, I’d like to register very briefly my own favorable impressions of the museum, which I visited on December 30 with my daughter and some family friends. 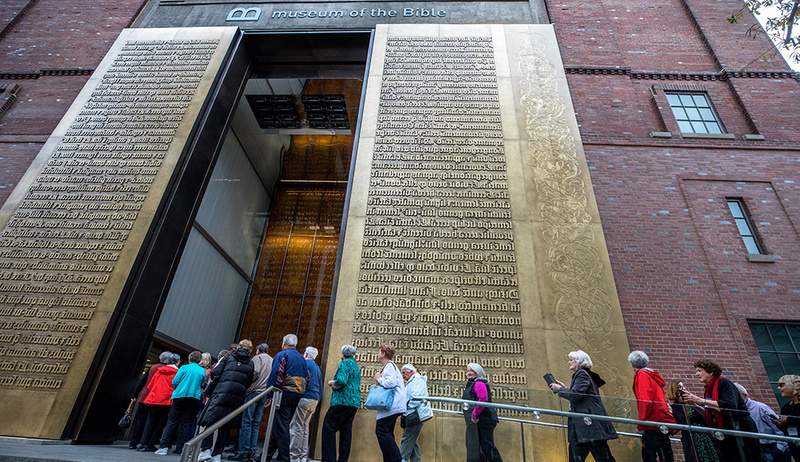 From the very first sight that greets one’s eyes—the two 40-foot-high bronze panels framing the entrance, bearing text from Genesis 1 on replicas of plates from the Gutenberg Bible, followed in the vestibule by a display of Psalm 19 on a papyrus leaf that dates back to the 3rd or 4th century CE—one is conscious of taking part in a highly singular experience. In this six-floor building with its 430,000 square feet of exhibition space, visitors come face to face with the world of ancient Israel and Jesus of Nazareth rendered in works of art, more than 3,000 artifacts, and archeological discoveries laid out for inspection in display cases, immersive rooms, interactive exhibits, mini-theaters, and animated videos. 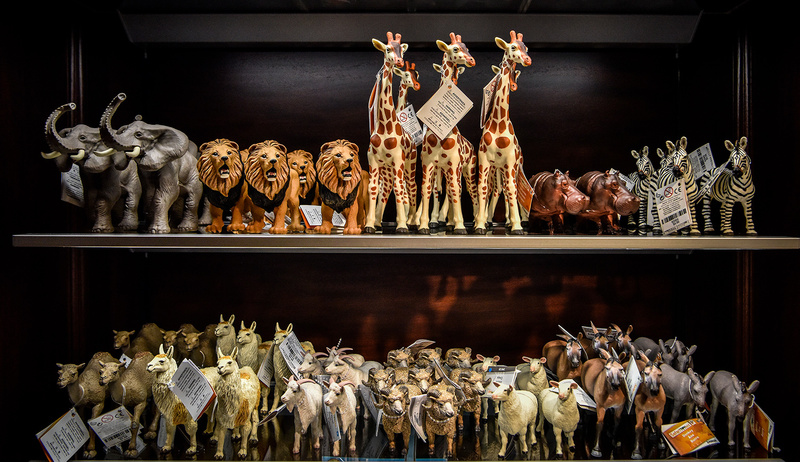 Along the way, visitors will also learn the story, from ancient times to the present day, of the Bible’s impact on everything from art and culture, to human rights, to entertainment, to science and math, to, especially, the meaning of America. But has the museum described accurately what it chooses to exhibit? Not at all, say the critics: witness its reckless claims of antique provenance for manuscript fragments of dubious authenticity. As for the underlying claim that the museum is a front for “evangelical propaganda” or “a safe space for Christian nationalists,” that was hardly my sense of it any more than it was Appelbaum’s. Nor was it the sense of National Geographic, whose writer testified that the museum (after some early missteps by its founders, long predating the museum’s opening and duly recounted by Appelbaum) “abides by academic best practices.” Concerning the disputed manuscripts in particular, the same writer reports that in fact “the Museum of the Bible has supported the very work on the Dead Sea Scrolls that has uncovered evidence of forgery.” This, in a publication that no one will ever confuse with, say, Christianity Today or the Pentecostal magazine Charisma. It was no doubt on these and similar grounds that Philip Kennicott, the Pulitzer Prize-winning art-and-architecture critic of the Washington Post, judged that “what [the Museum of the Bible] does well, it does as well as or better than any museum in the country.” Here, scholarship is taken seriously, and unpleasant facts—like the fact that in the 19th-century American debate over slavery, the Bible was invoked by both sides—are not whitewashed; the overall purpose is not propaganda but engagement with the Bible’s history and legacy. Son of God or an Ordinary Man? This hardly qualifies as in-your-face, fire-and-brimstone missionizing. In short, anyone expecting to find a politicized museum dedicated to hot-button “culture-war” issues needs to look elsewhere. Unfortunately, as Appelbaum is at pains to document, the National Mall already offers some distressing specimens of the type, if from a different side of the cultural spectrum entirely. [O]f making many superficial and easily rebutted complaints [about the museum] there has been no end—so many, in fact, that one begins to wonder whether these complaints are not themselves a cover for sheer prejudice against evangelical Christians, if not against a book that is still stubbornly held sacred by many millions, on the part of critics convinced that only a primitive and unenlightened mind could regard the Bible as anything more than a pastiche of stories and myths wholly uncorroborated in ancient or archeological sources. Elaborating on this, I myself would point to a combination of contempt and fear regarding not just a certain type of evangelical Christianity but also toward religious faith in general. 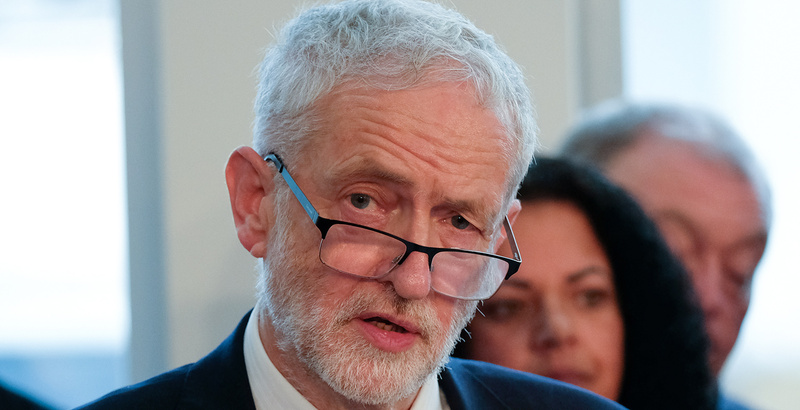 For some on the secular left, faith is at best tolerable, at worst an active threat. This is the starting proposition; much flows from it, including the conviction that faith, if taken too seriously, poses a danger to our rights, to the American constitutional order, and to science itself. 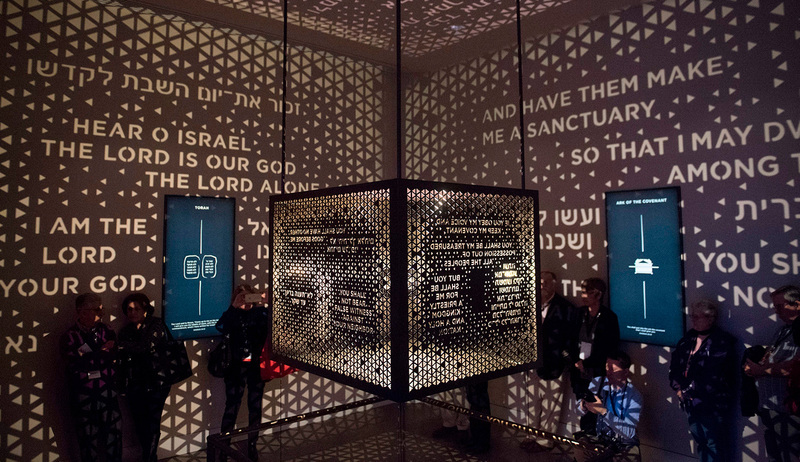 As the Bible is a source of inspiration for the benighted, a museum dedicated to the Bible needs to be discredited. One cannot be too vigilant, after all. Several things need to be said here, but perhaps the first is that we should not exaggerate. The attitude I’ve described, while quite real in certain quarters, is not as prevalent as some Christians have convinced themselves it is. Many non-believing liberals don’t actually feel their life’s calling is to bring down the Christian faith. Having been conditioned to think that, as a believing Christian, his faith would come under relentless assault, this young man found instead, for the most part, a live-and-let live indifference. 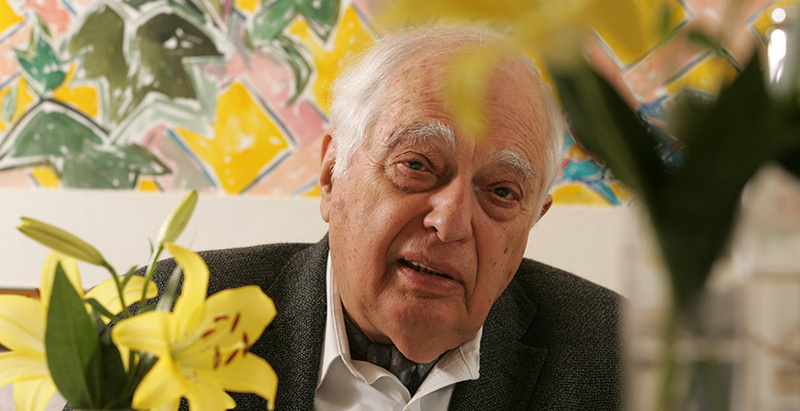 To his fellow students, Christianity was less a threat than an irrelevance. I (and others) might frankly wish for a more positive attitude than that, or at least one more openly curious; but that is a concern for another occasion. Something else should be said as well: the conduct of some prominent evangelical leaders over the years—whether through failings in the realm of public morals, or through egregious instances of pandering to political power, or through ill-reasoned panic over the perceived loss of Christian influence in American society and culture—has contributed to the creation of a negative stereotype of the evangelical world in the minds of many Americans, including those not otherwise invested in unbelief. But that is hardly the whole of it, not by a long shot. Another story needs to be told and heard, expressed and received. For millions upon millions of people, religious faith is not only not a threat to the Republic; to the contrary, it is a source of strength and attachment, indeed a bulwark of the larger national enterprise. On an individual and communal level, religious faith, lived among other ways through reverence for the Bible and the taking to heart of its message, deepens people’s commitment to and care for others, sparking innumerable selfless acts of charity and generosity. That same Bible offers to many believers a wellspring of moral courage as well as comfort in a fallen world. It inspires them to reconcile broken relationships, dispense grace to those in need, and share kinship and mutual belonging with the stricken who live in shadow. More than any book in history, the Bible has changed lives, and changed the world, for the better. It has long deserved a museum that tells its story in an honest, comprehensive, and compelling way. Now it finally has one.